PLL was incorporated in the year 1998, and 50% of initial contribution to total paid up capital was made by BPCL, GAIL, IOC, ONGC and the balance paid up capital was subscribed by individuals. The sphere of PLL’s encompasses import and regasification of Liquefied Natural Gas (LNG), by developing LNG terminals in the different parts of the country. With a support from Navaratna PSUs like ONGC, GAIL, IOC and BPCL and robust domestic demand growth of LNG, PLL has outperformed during the last 3years in terms of revenue growth. Due to guaranteed support from the PSU promoters, the company has entered into a long term Gas Sales Purchase Agreement (GSPA) with GAIL, IOC and BPCL for supply of re-gasified LNG for a period of 25yrs. The company is one of the established players in the global LNG market and controls a quarter of the India Market. Accordingly looking at growing demand of gas from the sectors like steel, chemicals, petrochemicals, glass, ceramics, refineries and city gas, the company has decided to expand its current capacity of Dahej and Kochi to twofold by the end of 2010. Further, the company is going to be benefited by the Govt’s move of giving stress on using spot LNG instead of costly naphtha as fuel and feed stock to the major gas users like power and fertilizers. 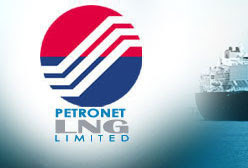 Company’s main business encompasses Sales and Purchase of LNG, hence the business model is basically based on a back-to-back long term purchase and sales agreement for a period of 25yrs. The growth in Net sales was mainly due to increased volumes and better realizations. The Volume sales for FY08 increased to 321.85 trillion British thermal unit (tBtu) as compared with 290.28 tBtu during FY07. In addition to this, PLL is also expecting to earn marketing margins on some of it spot cargo deals, depending on the price it negotiates with the LNG supplier and the price off-takers are willing to pay. The global regassification capacity is expected to be three times the liquefaction capacity in the next decade, which would lead to a sharp rise in LNG prices and thus take away the cost benefits for end users. With the strategic expansion plan at Dahej and Kochi LNG terminals and continuous growth in demand we estimate PLL to cross Rs1,07,975.5 mn revenue with the CAGR of 29.5% by the end of FY’10. We believe that the company’s future performance is mainly dependent on the spot volumes, for which company has started expansion of Dahej LNG terminal. The company has planned to finish its expansion plan at Kochi by the end of 2010 and commence the operation by FY11. As a part of forward integration, company’s step to diversify its business into gas-based power generation by setting up 1,000 MW gas based power project at its Kochi terminal, will add value to it’s existing business. Further, the back-to-back sales agreement with the Navaratna PSU’s is making PLL to operate in high inventory turnover in future, which requires less working capital requirement. Looking at future prospect of the PLL’s expansion plan and new venture in gas based power business makes the stock attractive Investment.